Part of our forensic branding process is conducting interviews and surveys. It’s one of the ways we get a clear view of your specific business situation. Once we know where you are, where you want to be, and what obstacles and opportunities exist, we can craft a brand strategy to put your company on a trajectory for success. We aim for a 360 degree view of your company: leadership, front-line employees, vendors and customers. 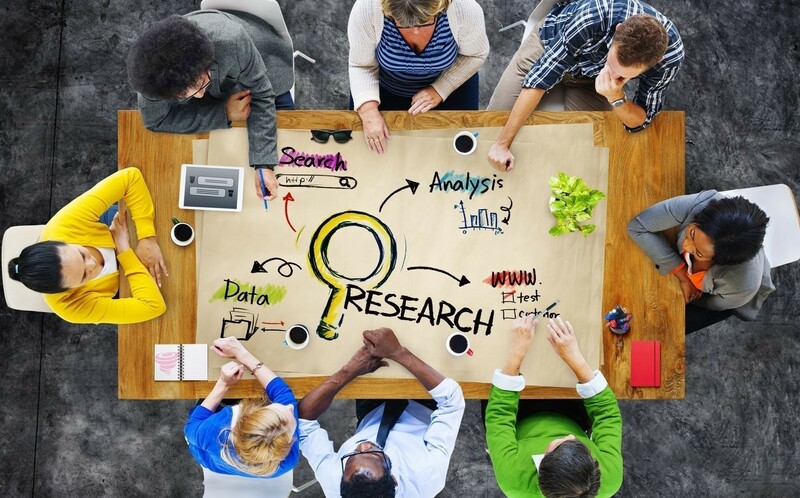 For startups, we conduct research with people who fit your target audience. For nonprofits, we interview volunteers, donors and people served by the organization. It’s important to look at your company from many viewpoints to get a complete picture. We utilize a mix of in-person interviews, phone interviews and online surveys. A tailored, data-gathering approach gives us the most useful information. Here are some guidelines for when it’s best to use interviews, and when surveys make more sense. In some cases, you might need both. We can set the subject at ease. Many people are uncomfortable in anything resembling an interview situation. With a little friendly banter, we can usually help even the most nervous person get comfortable. We can ask open-ended and follow-up questions. Sometimes, a really good answer begs another question. An interviewer has the leeway to follow the train of thought towards unexpected, highly-detailed answers. We’re an objective 3rd party. People are more open with outsiders, in a confidential setting. So we sometimes get more honest answers than if the client were to conduct interviews themselves. It can be difficult to capture all the details if someone has a long or complex response. Phone interviews can lose context provided by facial expressions or body language, or result in misheard words. Some people can end up using the interview as an axe-grinding or therapy session. It’s easier to get big data. If your sample size is more than a couple dozen people, conducting interviews will take way too long. While you can still do interviews with a select few, online surveys allow you to get truly meaningful data sets from large groups of people. You can structure for quantitative information. Online surveys are great for converting multiple choice, ranking, or other types of questions that can be easily translated to meaningful visual representations. You can test your assumptions. Online surveys make it possible to get answers from an audience of prospects, who know nothing about your brand. This can be especially helpful for startups, to see if their assumptions hold water when pitched to real people. Subjects often misreport their own behavior or misunderstand questions. It’s less personal, and may be seen as an interruption. It’s difficult to ask follow-up questions, and open-ended questions are often skipped. We make sure to follow best practices for market research, no matter the format. We avoid leading questions, and questions that assume a particular answer. We review our questions thoroughly, to ensure they’re written as clearly as possible. But before we conduct market research, it’s also important for clients to prepare the way. For a successful survey or interview, clients need to let subjects know we’ll be contacting them. They also need to let them know it’s important to respond, and respond honestly. We always reassure people that their answers will be confidential, but it’s good to have that reinforced by the client as well. Once we’ve gotten all the answers, we’ll review them in aggregate. We’ll distill the common themes and quantitative data into an executive summary, where we identify strengths, weaknesses, opportunities and threats. Then, we can begin working on a brand platform that addresses real customer needs and concerns, with your company’s real features and benefits. Some basic guidelines, to avoid embarrassing your company.